There’s plenty of change happening at Yahoo under Marissa Mayer, but one thing is sure to remain the same…that darn exclamation mark. 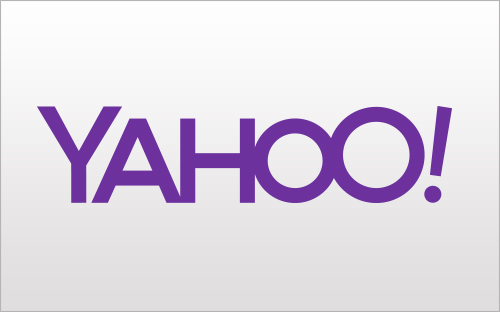 Yahoo today unveiled the first in a series of new logos, but the infamous ‘!’ remains as much of a part of its name as ever. Yahoo says its new logo will be “a modern redesign that’s more reflective of our reimagined design and new experiences” — and it will show off a bunch of variations of the logo across its blog, Twitter account and network of sites every day for a 30-day period. That will culminate in the new logo being introduced on September 5. Yahoo has been busy reinventing itself from a sleepy Internet giant to a (more) vibrant company that is in the habit of acquiring a seemingly endless number of startups — indeed it has closed more than 20 deals during Mayer’s first year in charge. The highest profile of those has been Tumblr, the social blogging site bought for $1.1 billion, with a number of the others completed to beef up Yahoo’s technical and engineering talent. Last week, Yahoo picked up social browser-maker Rockmelt for an estimated $60-70 million in a deal that will see the startup’s technology added to Yahoo’s media platform to “deliver content in new and exciting ways”. That’s typical of many of the deals, with the startups in question often losing their way having once developed promising products. It hasn’t been plain sailing for Yahoo under Mayer and early into the role she stoked controversy when she ended Yahoo’s remote working policy. As a working mother herself, Mayer faced criticism from many women for the change, although supporters of the move argued it would help galvanize Yahoo’s workforce and provide better accountability.